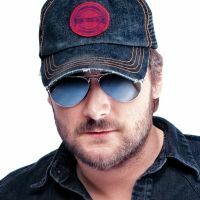 Eric Church in Montreal or Quebec City? Inform me about the next events for Eric Church. Enroll yourself to our priority waiting list for Eric Church to be alerted when new tickets are available. Filling this form doesn't engage you to any purchase. Eric Church will be performing at the Bell Centre, in Montreal, on March 4th, 2017. The American Country music artist Eric Church will be playing in Montreal for the first time, as part of his Holdin' My Own Tour, which will take him across North America throughout the winter. Eric Church's popularity is far from fading : his previous world tour entitled The Outsiders World Tour was one of the most popular tours of the year. Eric Church performed in front of over 800,000 fans in over 65 cities, from September 2014 to September 2015.